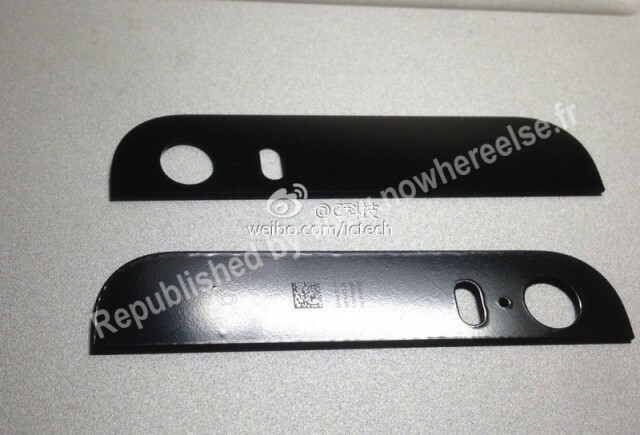 Nowhereelse.fr has reposted images that apparently belong to the next generation high-end iPhone and show the top and bottom strips of the black handset. 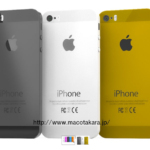 These images were first posted on the Chinese microblogging site Sina Weibo, which is a regular source of iDevice leaks. Considering that now we have a launch date confirmed by two sources, we likely will see more image leaks that will help us put the pieces together. As you can see from the above image, the black top strip has spacing for a dual LED flash, which reinforced earlier rumours whispering about this feature. This would increase significantly the performance of the iPhone’s flash. Now it remains to be seen whether the improved night shooting mode will indeed materialize. If yes, we likely will witness the renaissance of iPhoneography, especially if earlier rumours are correct and Apple will upgrade the iPhone 5S camera module to 12MP. Because this is just a rumour, the possibility of carrying the same 8MP rear camera with several improvements also is likely. In just six weeks, however, all of our questions will be answered.